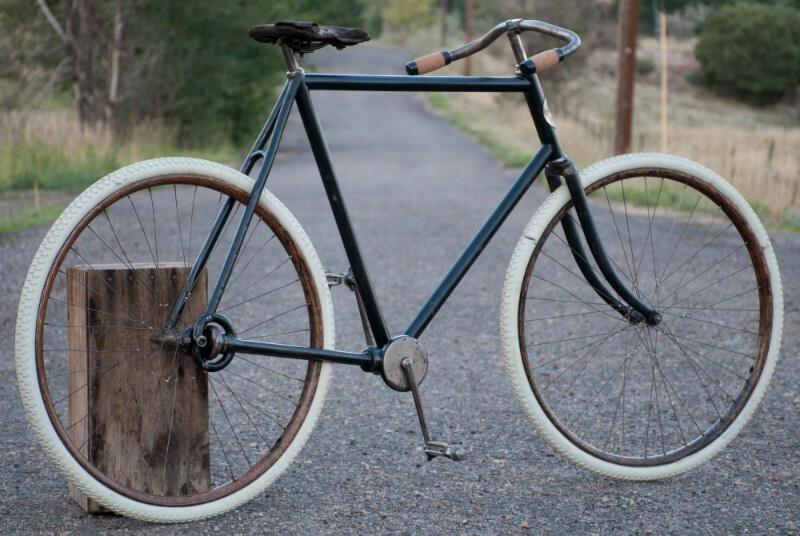 This Antique Fixed Gear Wood Wheel Shaft Drive Bike was made by Pope Manufacturing in the year 1899 and was known as a Columbia Model 59. 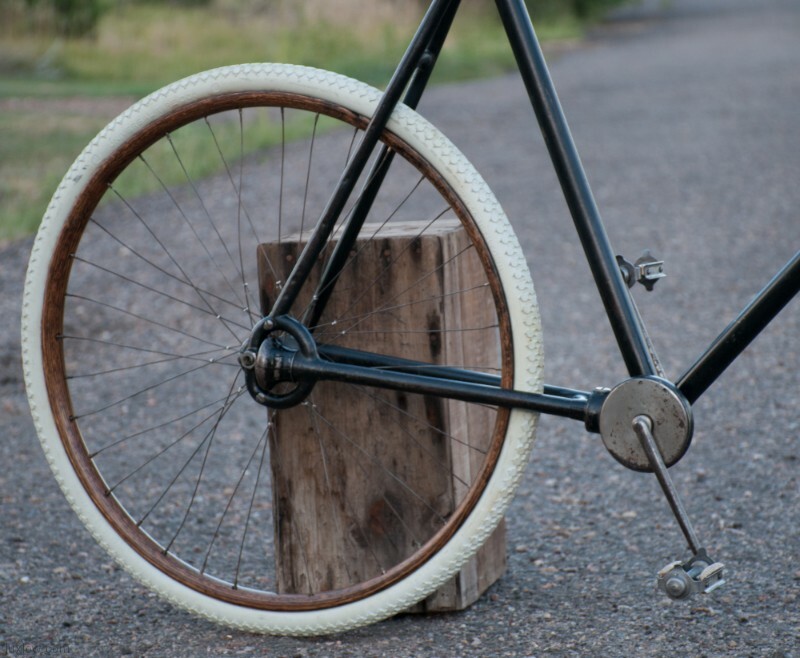 Now coming out of the Gay 1890s Bicycle Boom, Pope and a Few other Manufactures were hedging bets on the Chainless or Shaft Drive Bicycle to be the next best innovation to boost sales. 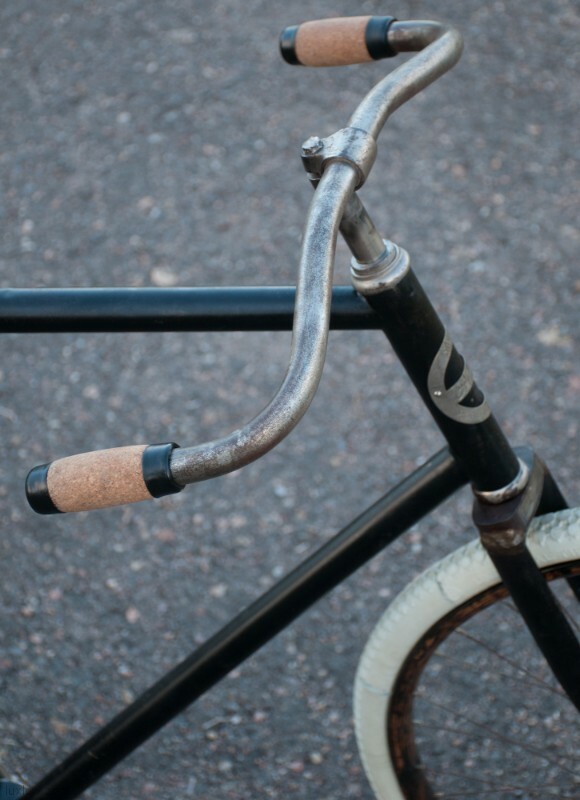 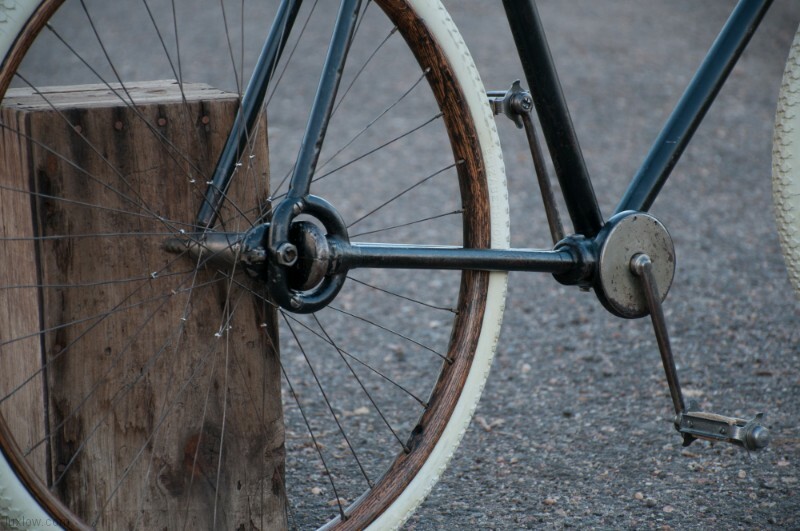 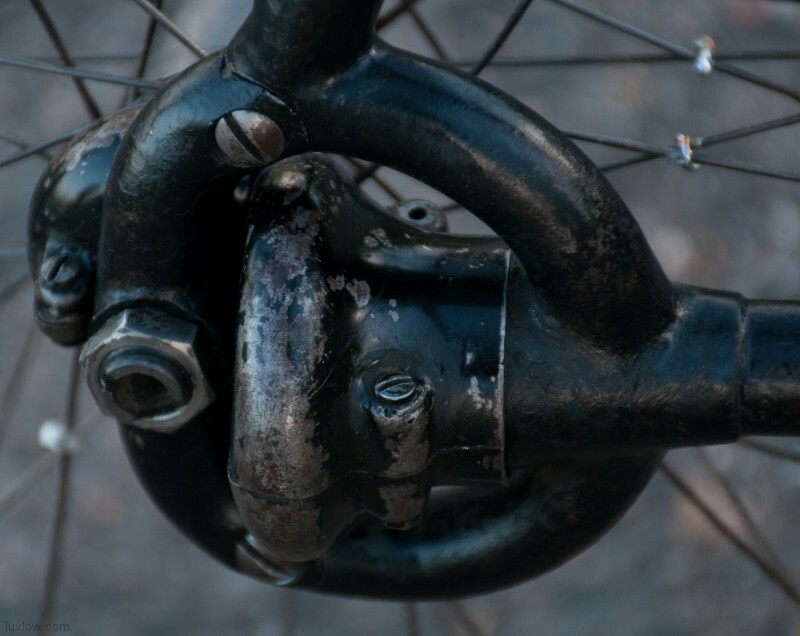 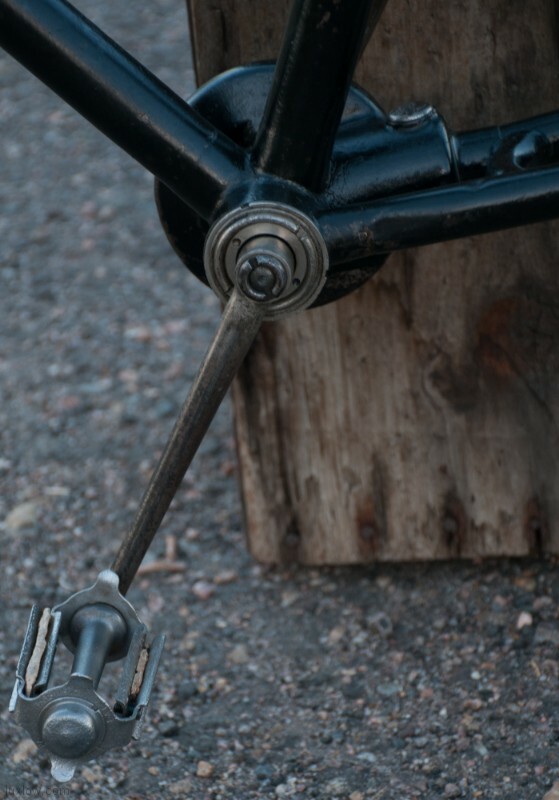 Although the Chainless Bike was in production for many years, the many small parts and Chainless issues proved to be far greater hassle than the basic chain, that is still used today. 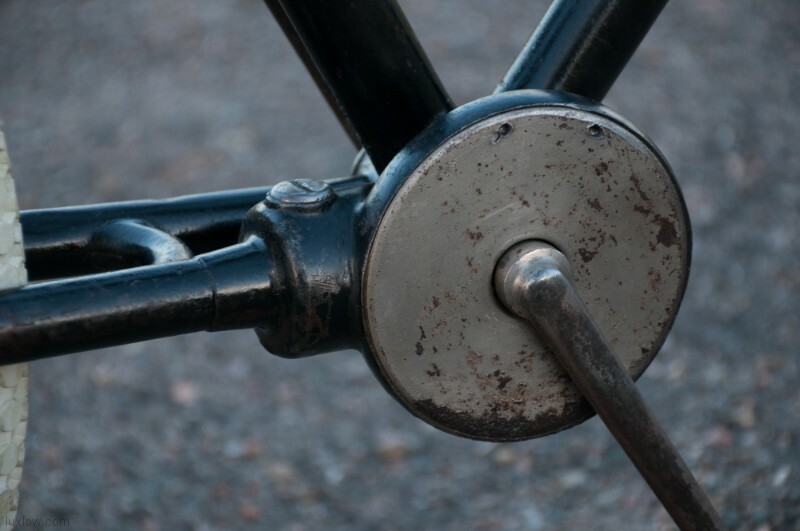 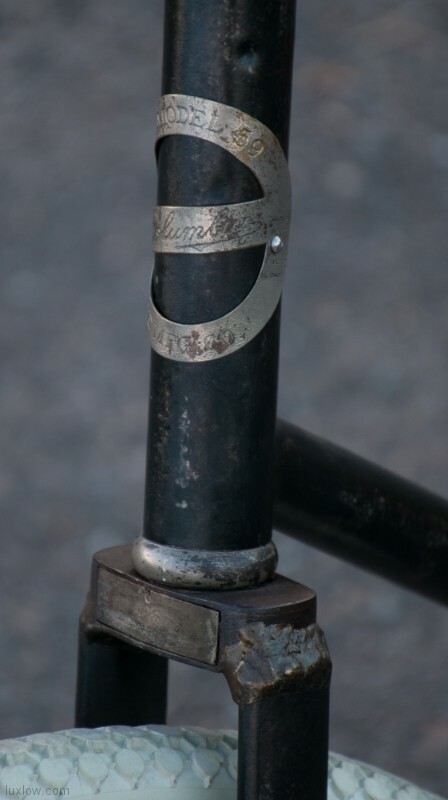 Columbia’s Shaft drive first appeared in 1898 and were Manufactured into the 1920s. 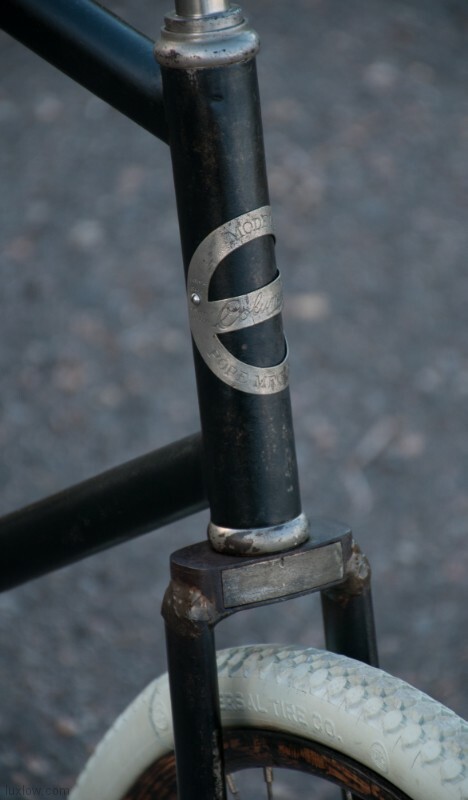 New Model numbers were given the bikes every year and they saw many improvements and changes as the years rolled by. 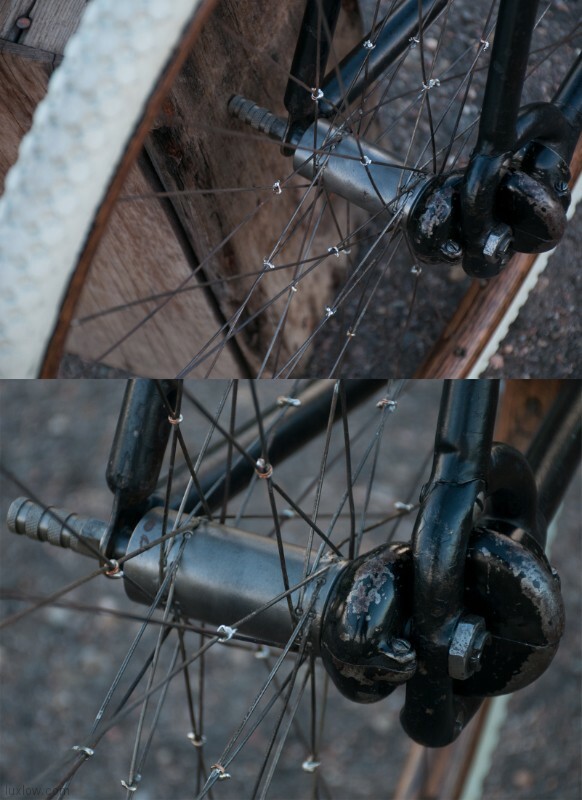 The Chainless started very basic and saw improvement like coaster brakes, multi speeds, and suspension in both Ladies and Men’s models. 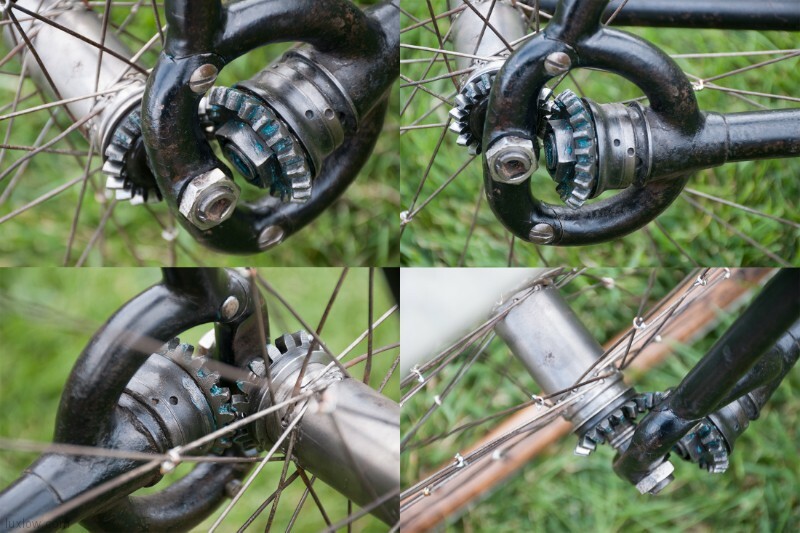 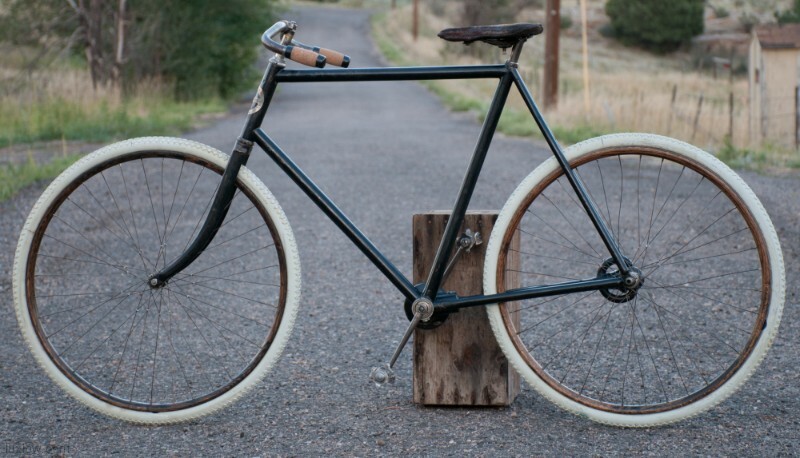 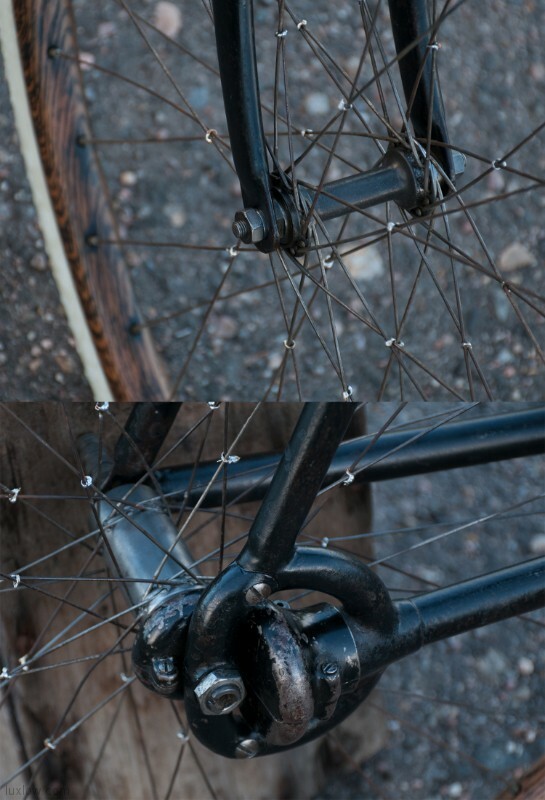 This fixed gear shaft drive bike is one of Columbia’s first offerings of the Chainless bicycle era. 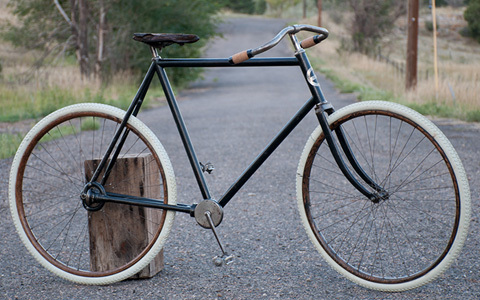 This 1899 Model 59 has been Lux Low Patina Restored and Rebuilt and the paint is Patina Preserved and Sealed. 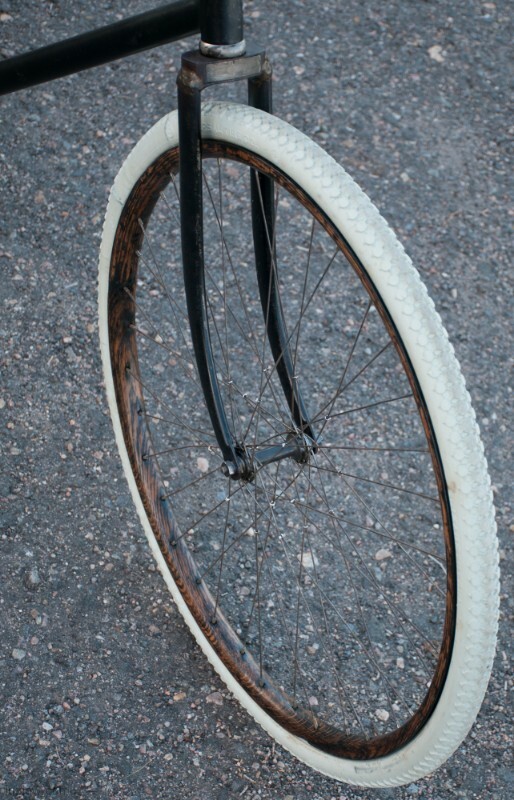 The rear hub is a Columbia Fixed Gear hub with original ball end spokes laced to patina finished wood rim, Quite Unique. 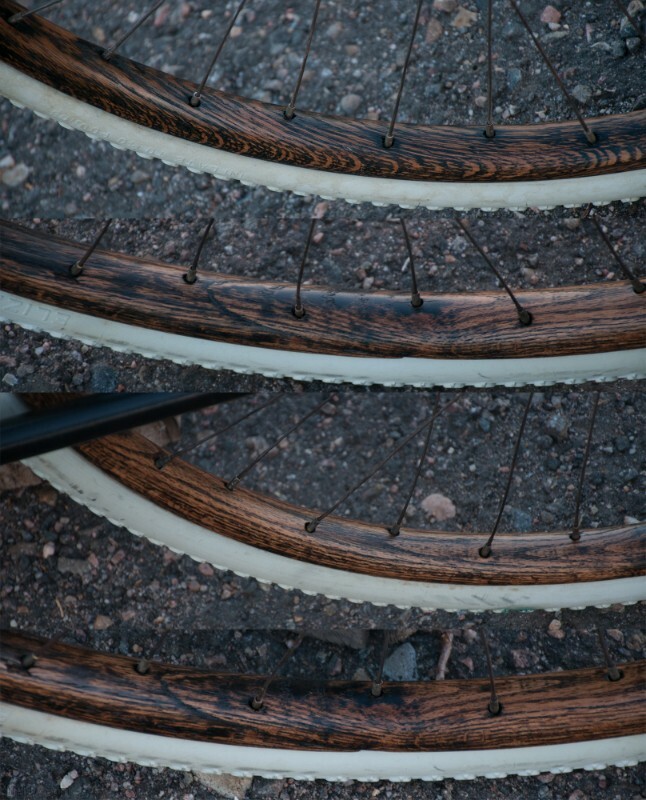 The Tires are glue on remake 28″ x 1 1/2″ Tubular tires. 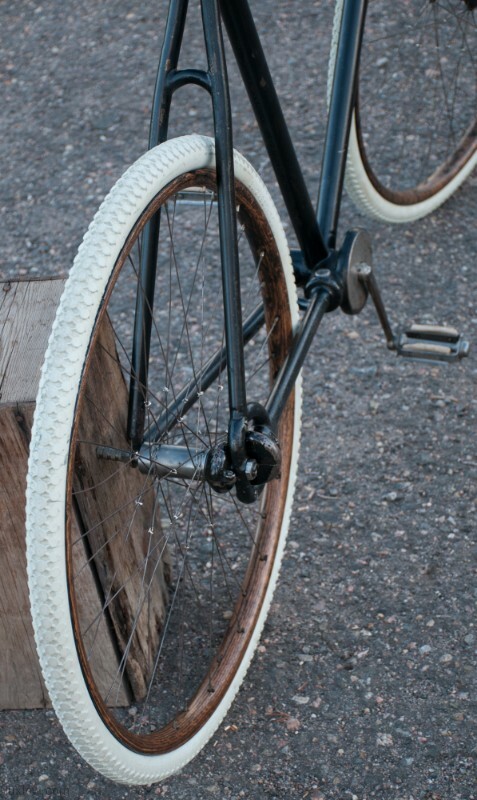 The wood wheels are rebuilt and look great, but they are more for show than use. 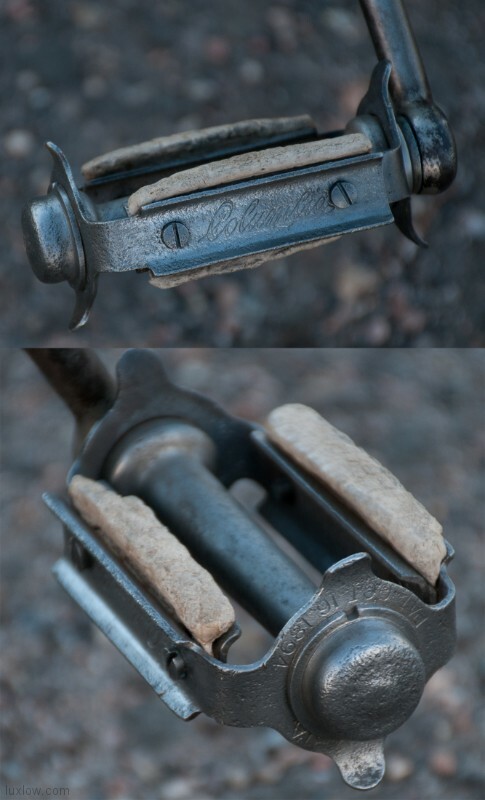 The Bike has Unique Early Columbia Pedals and nice remake cork grips. 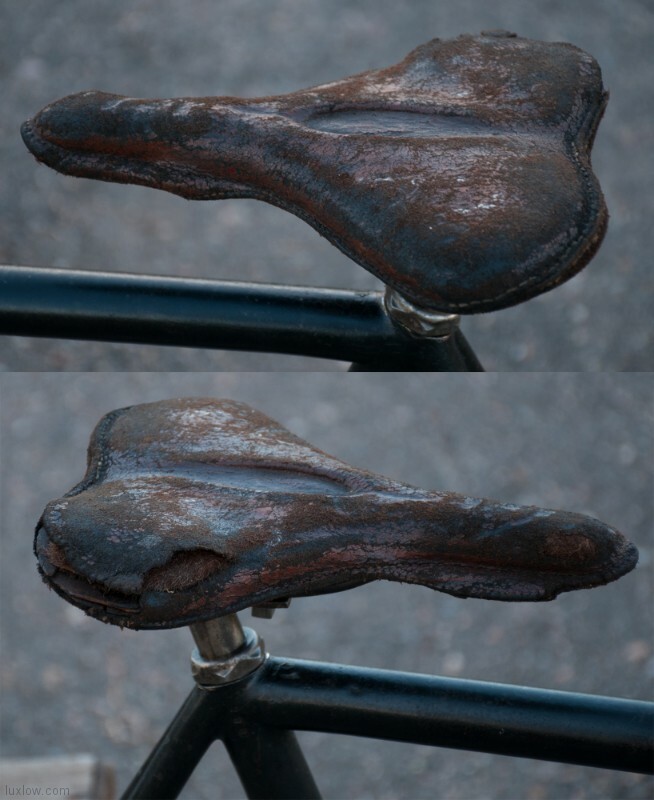 The Seat is a period correct addition. 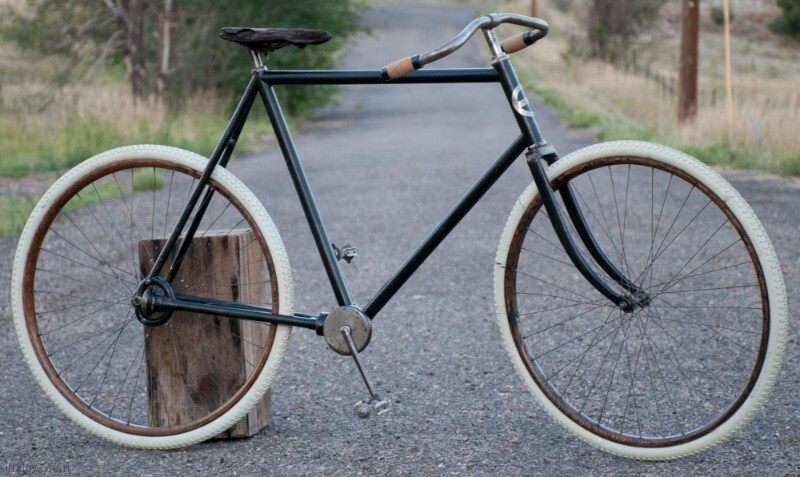 The Bike is Totally Rebuilt and Patina Restored, but I am afraid this 110 plus year old will not see to much road time. 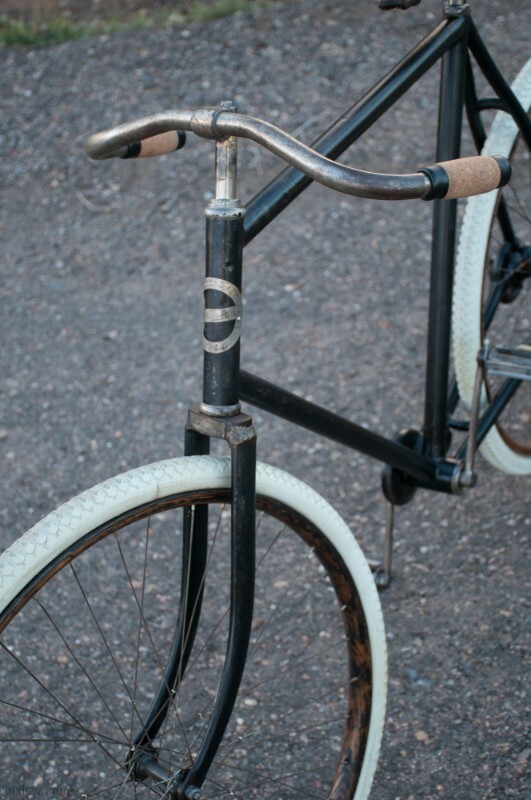 What she lacks in performance is made up in her Historic Beauty.